Fox Ridge Subdivision Constructed by Vita Homes and located in Dexter approximately 1 3/4 miles west of Dexter-Pinckney Road off of North Territorial Right next to Peach Mountain. Fox Ridge subdivision features 94 acres of land with 48 one plus acre lots, common area and wet lands, with the majority of the lots backing into the woods. Definitely a great location which is situated close to all the amenities that the area has to offer but also tucked nicely away so that you can feel as if you are getting away from it all! (All while being 20 minutes from Ann Arbor!) View our Fox Ridge home for sale. The Fox Ridge community has an active homeowners association – you can view their master document here and their first and second amendments. 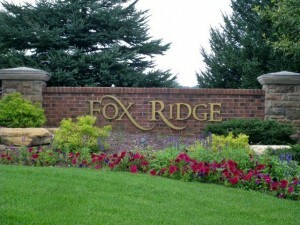 Tour one of our Fox Ridge Homes for Sale. Close by to Fox Ridge is the Pinckney State Recreation Area, where you can take part in hiking, boating, hunting, fishing and snowmobiling! Also nearby are Hudson Mills Metro Park which offers golfing and like Delhi Metro Park, offers Canoeing and other sports! Dexter itself is tucked away along the banks of the Huron River, with a bustling historic downtown area it is no wonder people are looking to relocate here! Also, the area has fantastic schools! Tour inside Washtenaw Schools.